Here’s another Boy Bag for the Fall Winter 2017 Collection Act 2. 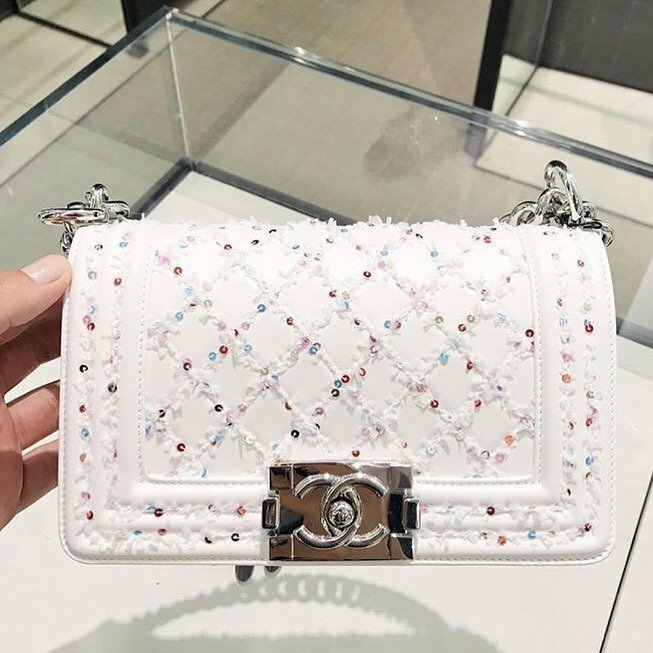 This stunning Boy Bag is designed with a new look and the white edition in multicolor embroideries looks like a tasty candy. You can say that it has a playful appearance, but you can also say that it’s unique. But no matter what, the shape and the components are all signifying that it’s the iconic Boy Bag from the Classic Boy Bag collection. 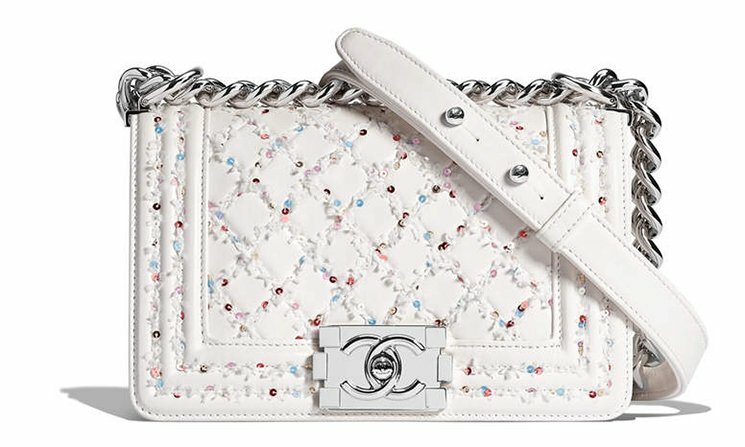 It’s the same Classic Boy Bag with a different look. 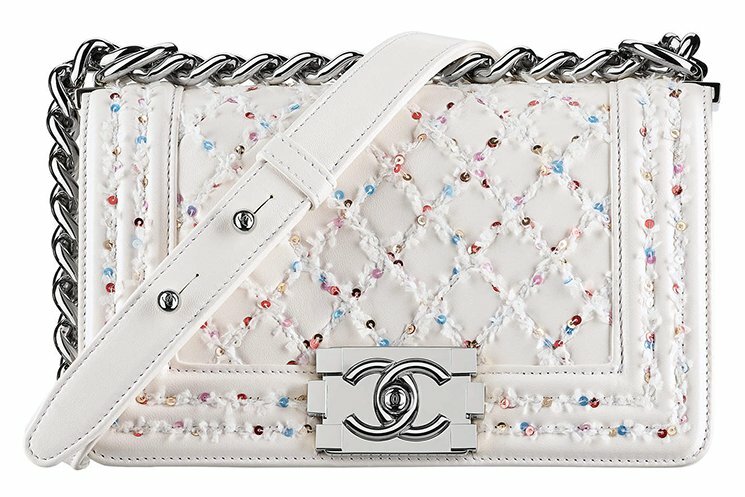 Made from soft and luxurious lambskin leather, the front flap is quilted but it’s embroidered with little multicolor sequins. 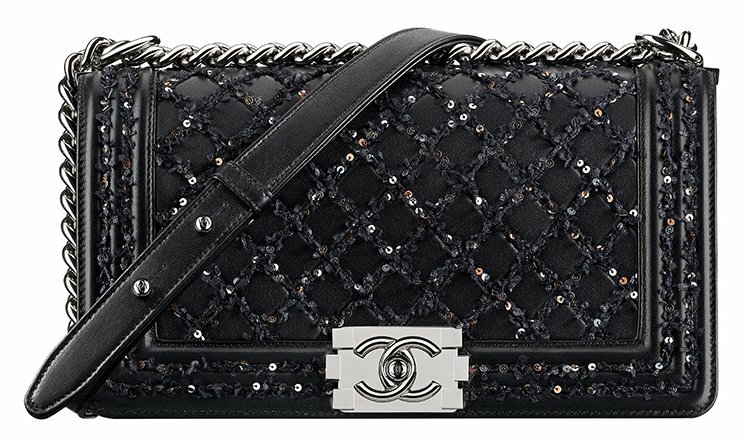 The multicolor sequins runs all over the body of the bag including the center quilting and on the edges of the flap. The center is crafted with the signature studded Boy Clasp and the top comes with the large boyish chain strap. The multicolor sequins are really eye-catching. On the snow-white Boy Bag, the colors are popping out like a fairly tale story. This version is made to flaunt. There are also other colors available like black, which is also gorgeous. 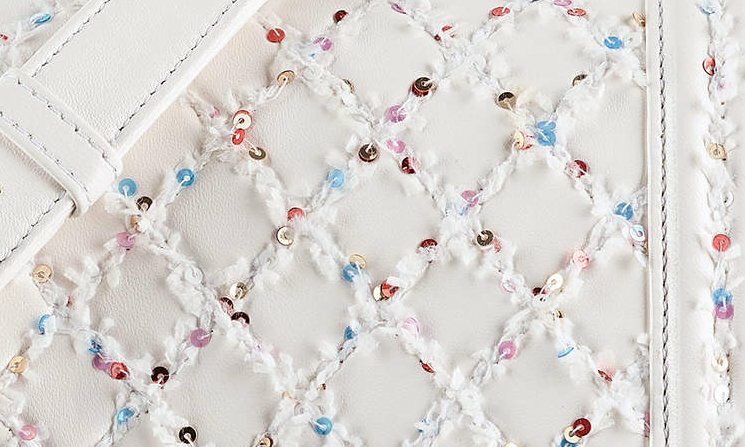 The multicolor sequins on the black leather reminds of the bright stars at night. 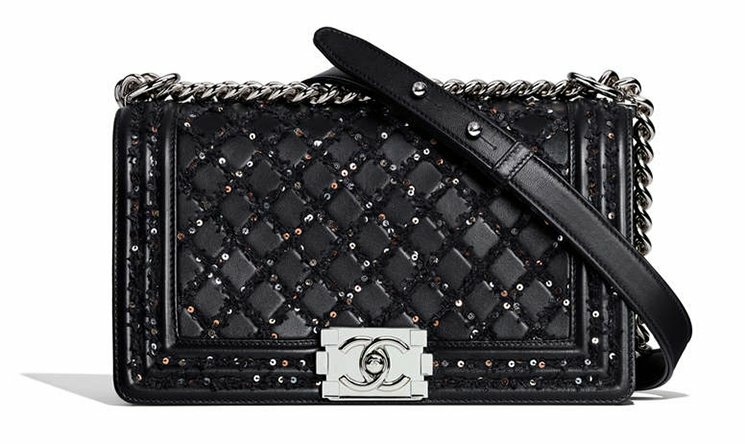 Because these are the same bag as the Classic Boy Bags but with a new look, the interior is also the same. Inside you will find a main compartment for all your personal belongings but also a flat pocket.